Calorie Shifting Diet Plan Review - How Does it Work? Calorie shifting is also known as calorie cycling where you consistently shift your calories intake to "confuse" your metabolism and keep it working at a higher level. 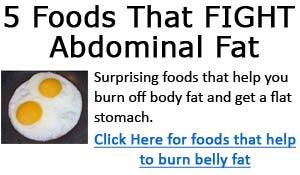 This in theory, helps avoid weight loss plateaus and keeps your fat loss on-going. Calorie shifting isn't actually a "diet" per se - it is nothing like the popular diets such as weight watchers, Atkin's, or Zone diets. Instead, calorie shifting is more of a "method" of alternating your daily calorie intake to manipulate your metabolism in hopes of maintaining a higher metabolic rate as your weight loss progress. However, there is one very popular and effective (from anecdotal evidence) diet - the Fat Loss 4 Idiots diet which is based on the calories shifting theory. The Calorie Shifting method of weight loss has been widely used with users reporting good weight loss results. One of the major benefits of shifting calories is that it helps keep weight loss consistent and also reduces the chances of hitting a weight loss plateau. Calorie shifting diets reduce the chance of hitting fat loss plateaus because the constant daily changes in calorie intake, which makes it difficult for your body to adjust to a dieting pattern, a major reason why many diets seem to work at first, but eventually end up stalling. The major difference between calorie shifting and other diets is that calorie cycling is not a diet. It is a method of controlling your daily calorie intake that can be applied to any variety of diet plans. The key is to constantly change your calorie intake on a daily basis while still creating a calorie deficit to achieve weight loss. It's a well known fact that when you consume less calories and begin to lose weight, your metabolism naturally adjusts lower to conserve energy. However, the only way to lose weight is to create a caloric deficit, and this can be achieved through a combination of diet and exercise. It's a simple concept - if you consume more calories than you burn you're not going to lose weight. The above can give you a good guideline on the level of calorie deficit for weight loss. Regardless of your level of calorie deficit, your metabolism will adjust to the new levels you've set for yourself, and you will find weight loss to become increasingly difficult - even if you constantly increased your caloric deficit, and it is not wise to go 50%+ calorie deficit, as this is starvation and can have potentially dangerous effects to your health. To get rid of body fat, you need to tap into long term stores of energy - body fat, and the only way to do this is with a calorie deficit. The key reason why many diets fail, or begin to fail after some initial progress is because of your body's natural tendency to maintain homeostasis. "Human homeostasis refers to the body's ability to regulate physiologically its inner environment to ensure its stability in response to fluctuations in the outside environment". As you reduce your calorie intake, and begin to lose weight, to maintain homeostasis, your body naturally adjusts its metabolism downwards to match your new level of calorie consumption, making it more difficult to lose weight. When you lose weight, body fat is not the only thing that is lost. Other sources of energy such as carbohydrates and proteins are also burned as energy during your weight loss. During this process, you can also end up losing some lean muscle mass as well, which is the least desirable effect of a weight loss program. Unlike body fat, your muscles expend energy, thus help you burn off calories. As you lose muscles, your metabolic rate also decreases making weight loss more difficult. Conversely, if you gain some lean muscle mass, you will naturally burn more calories, which is why maintaining muscle mass is one of the most important aspects of a successful weight loss program. You could say that the more muscle you carry, the more calories you burn, and the easier it is for you to burn off fat and lose weight. This is why weight training is almost an essential part of a good weight loss program to help you preserve muscle mass. Your body doesn't like change. It prefers to keep everything consistent and predictable. As you reduce you calorie intake, you body will catch on quickly that it is consuming reduced amounts of calories, and as a survival response, it will lower its metabolism to accommodate for the reduced calorie intake. The theory behind calorie shifting is that if you constantly change your calorie intake from day to day, you can "trick" your body and confuse it, so that it does not lower its metabolism. By alternating days with high and low calorie intake, while still creating an overall calorie deficit, the idea of shifting calories is that this prevents your body from lowering metabolism, and keeps your weight loss on-going. Calorie shifting is simply just a theory - it's not a diet, and there's no clinical evidence to support its effectiveness. However, there is plenty of anecdotal evidence to suggest that calorie shifting works for weight loss, and a popular diet program based on the calorie shifting plan (Fat Loss for Idiots), has had many users who have reported successful weight loss results. How exactly does calorie shifting work? For weight gain – Your body weight x 16 to 18 = the range of your calorie intake. With this calorie shifting plan, you consume the same amount of 11,200 calories per week creating a deficit of 3,500 calories. The major difference here is that there are days where you consume low calories, and there are days where you consume higher amount of calories.